As For Football’s College Football Show with your host Rob Wright. 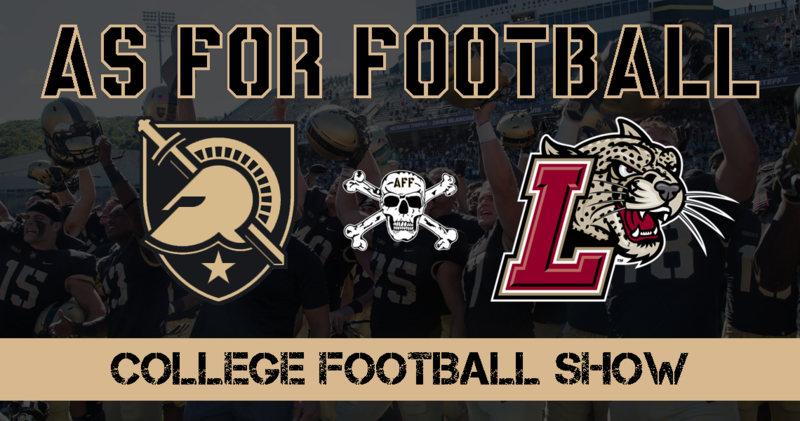 This episode recaps the Air Force Game and previews the FCS Matchup against Lafayette. Special Guest Tom Le talks about Long Grey Lessons and his take of Army so far this season. Listen to the show on the embedded media player above or through your favorite podcast service such as iTunes or the Google Play. Watch the show on our Facebook Page or YouTube Channel.